Tea flows by the pot-full in our household, so it was quite pathetic that I didn’t even own a tea diffuser. They only cost about $3, so I had no excuse. Even so, it wasn’t until my husband accidentally broke our tea pot (now that sounds silly, who would ever break a teapot on purpose? ), that I finally gained the ability to brew loose leaf tea at home. For just $10 we spotted a highly functional replacement teapot at World Market that just happened to come with a cute diffuser too. Sold! Her belief is that tea is “one of life’s great treasures,” and I couldn’t agree more. Seriously, having a hot mug of tea puts a smile on my face no matter my mood. My Tea Shelf has loads of different types of teas (seriously, where does this woman keep them all?? ), including various blacks, greens, whites, and my tonic of choice, herbals. Tea Love #1 – The Honeypeach tea was scrumptious. I tried honeybush tea for the first time at a little organic eatery in town, and it was love at first sip. However, I was still hesitant on this flavor, since I’m not typically a fan of fruity teas. Fortunately, the peach was more like a wonderful essence than an overpowering fruit, and it complimented the honeybush flavor perfectly. It seems honeybush is similar to rooibos, and it is known for its soothing properties and ability to calm the central nervous system. I think I better order this tea by the pound. Tea Love #2 – I’m a huge fan of ginger tea (the more potent the better! 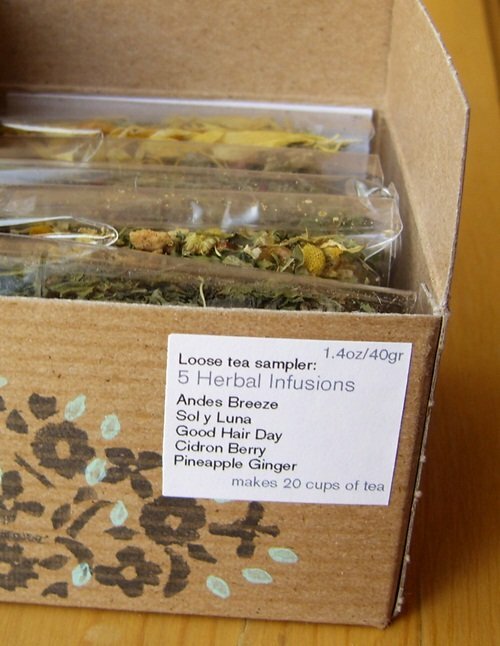 ), but the Pineapple Ginger tea from My Tea Shelf was unlike any I had ever tasted. The sweet citrus lends a more delicate note to the spicy ginger, yet neither dominates the scene. It was simply harmonious and a nice change of pace. Tea Love #3 – Wait, did I say I typically dislike fruity teas? Well here we are on favorite tea #3, and yes, all of my favorites contain some fruit! And while berry tea is usually my least favorite of all, the Cidron Berry from My Tea Shelf is positively delightful. It contains only a touch of berry goodness to brighten the overall blend. Most berry-flavored teas seem to taste just like that, flavored, and intensely so. This, my friends, is a tea, and a near perfect one at that. 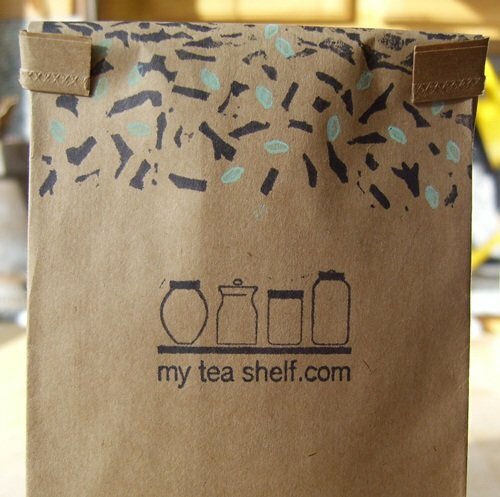 Since My Tea Shelf has free shipping over $35 (for both the U.S. & Canada! 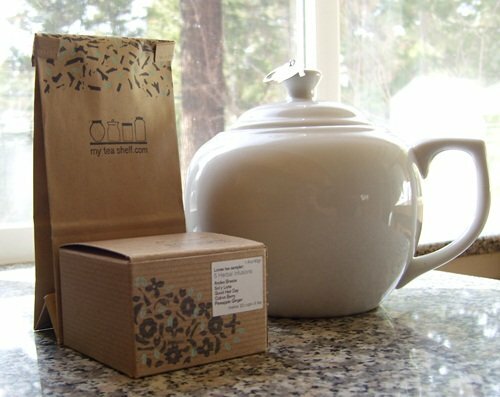 Yes, free shipping is the magic term for this online shopping diva), I plan to give some more of their teas a try … the Peaceful Persimmon and Ginger Rooibos being tops on my list. Though I have cut way back on doing reviews, I do want to let you all know when something great comes along … and this was one I felt the need to share. Do you drink tea? If so, what types? Are you in it just for the health benefits, or are you simply a mad tea drinker like me? I drink tea so much, and I’m going to check these out. Like you, I am not at all a fan of fruity teas, but I got some Republic of Tea apple cider flavor that has been my go-to lately. Oh, FYI, I went to the Celestial Seasonings factory in Boulder (yes, Im a nerd) and they informed us that tea without real “tea” is actually called an herbal infusion. Which sounds far more sophisticated, dontcha think? Well, just so you know, I’m going to Boulder next month and was hoping the gang I was going with was going to be into the Celestial Seasonings tour – yeah, I already looked it up (nerd #2). Hmm, herbal infusion may be too sophisticated for me. Thanks for the recommendations on the teas – spiced teas are my favs and some apple teas can be good. Like Katie I’ve gone to the Celestial Seasonings tour too! I’d definitely recommend it. The store in there is amazing! I didn’t know they had so many flavors. I tend to drink black in the morning and green or herbal in the evening. I’m with you on the fruity teas–warm fruit juice is not good– but for some reason I really love peach tea. I have to agree Rachel, something is a little different about peach teas, so long as they don’t just add peach juice! Hmm, now I’m going to have to go on that tour! I drink a lot of herbal teas. I love chamomile the most, but I add things like ginger or apple to it to flavor it sometimes. That pineapple ginger sounds amazing! I love teas of all kind myself 🙂 I am lacking an infuser for loose leaf teas. I really need to remedy that! !